This cross necklace is made of solid high polished stainless steel. The front features a high polished cross on a matte black background surrounded by a high polished frame. 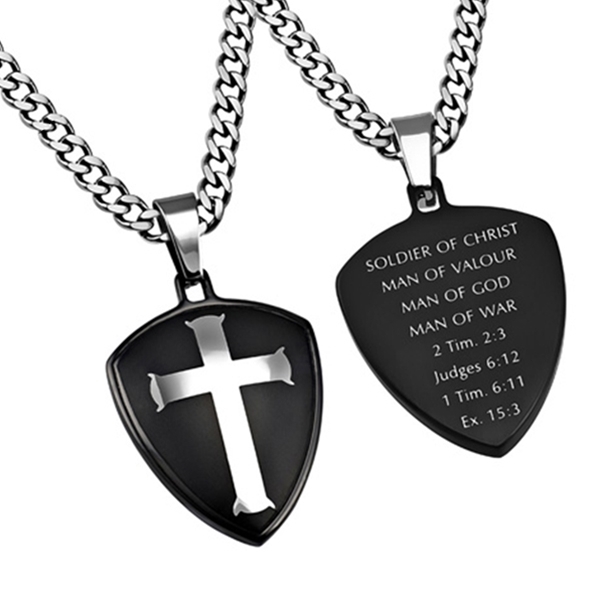 The back is engraved with the message "Soldier Of Christ, Man Of Valour, Man Of God, Man Of War – 2 Tim. 2:3, Judges 6:12, 1 Tim. 6:11, Ex. 15:3"